So incredibly easy to make with just 15 minutes prep and no baking involved! These are addicting! Thanks to a recommendation from one of my Instagram followers, we had a really fun lunch last weekend at The Cheese Shop in Williamsburg. Seriously, it’s called The Cheese Shop. Give me all the cheese! So many kinds. And then there were homemade jellies and sauces and spreads and aiolis and pickled tasty things from floor to ceiling along every single wall. I almost shed a tear for pure joy. That same Instagram follower suggested we hop next door to Wythe’s Candy Shop and I’ve gotta say THANK YOU to her because I stuffed my face with some of the best fudge I’ve ever had the pleasure of tasting. S’mores and peanut butter-chocolate were the flavors of the day and they were absolutely perfect. The peanut butter one was my favorite, so creamy, so peanut buttery, so rich. 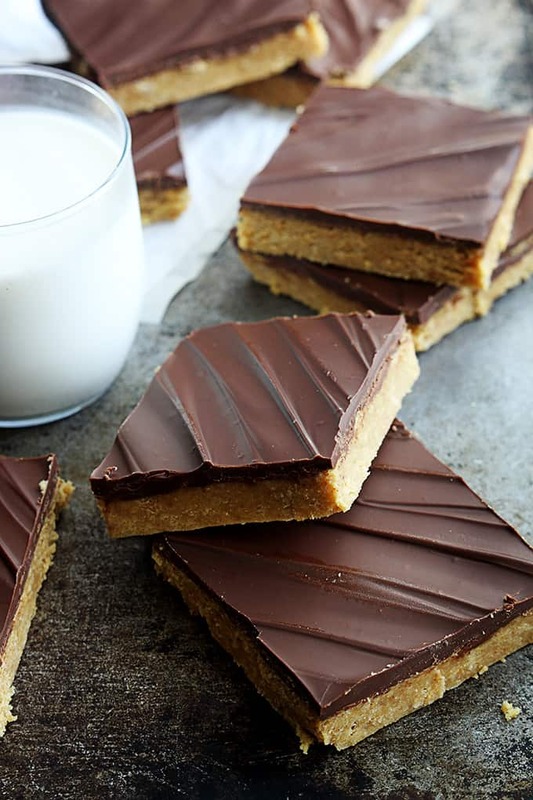 These peanut butter bars are rich too but wayyy easier to make than even the simplest fudge recipe. 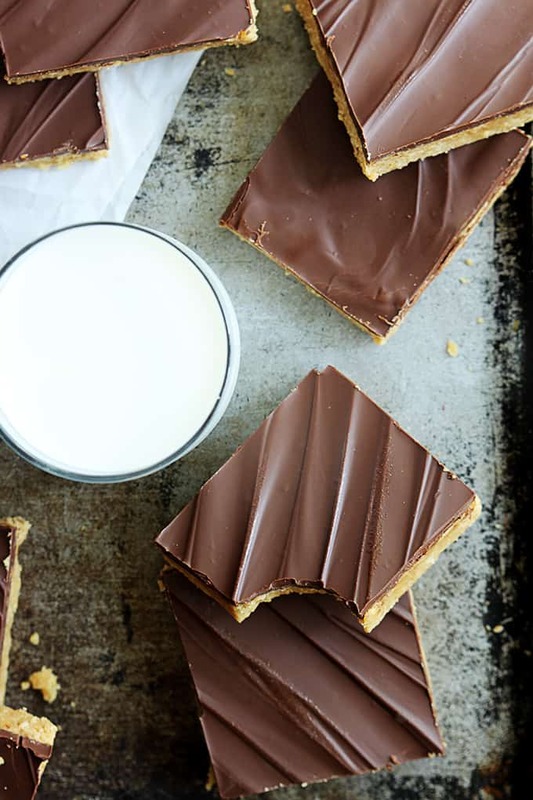 These are no-bake and come together in less than 20 minutes. The best part is the chocolate on top. The secret is that it isn’t just chocolate, it’s chocolate and peanut butter all swirled together into one splendid topping you can’t get enough of. Don’t you just want to sink your teeth into these bars?? Try not to eat them all in one sitting! Combine melted butter, graham crack crumbs, rolled oats, powdered sugar, and 1 cup peanut butter in a large bowl. Mix well. Press dough into a 9x13 inch pan. In a microwave safe bowl combine chocolate chips and remaining 1/2 cup creamy peanut butter. Microwave on high for 1 minute. Stir. Return to microwave and heat for 20 seconds, stir and repeat process until chocolate is melted and smooth. Spread melted chocolate/peanut butter over bottom layer in the pan. Allow to cool completely before cutting into bars. (you can allow them to cool at room temperature or in the fridge for quicker results) Store at room temperature in airtight container. 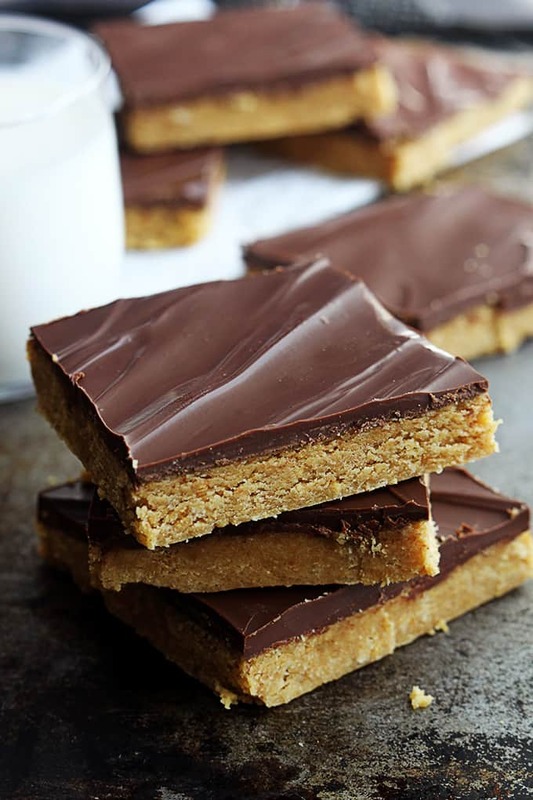 These look super delicious…both of my weaknesses in one bar, and so easy to make! ANything peanut butter is my love haha! I need these in my life now!! They look amazing and I love how simple they are!! 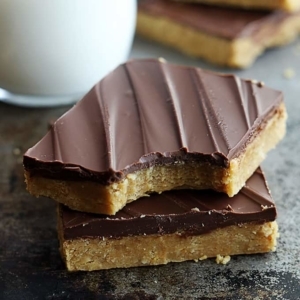 As a serious peanut butter lover, these bars have my name written all over them… I wish I had one to devour right now! Pinned! 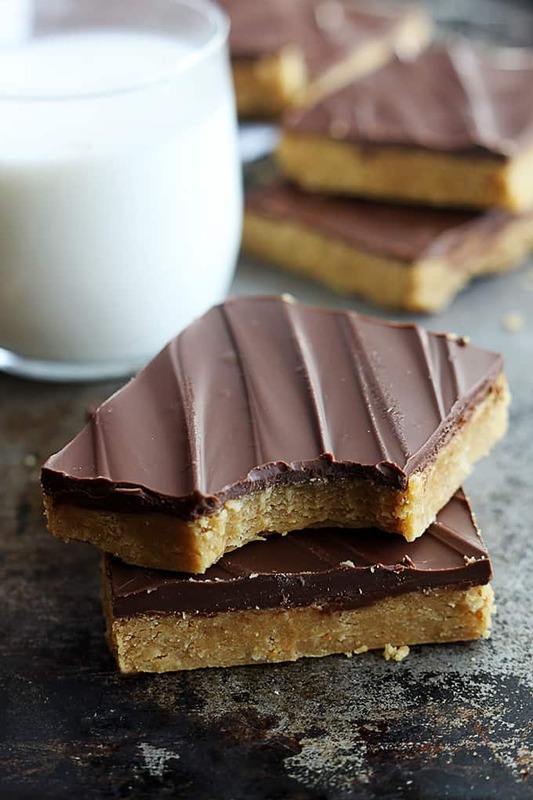 Do you use quick or old fashioned oats for these bars? As a huge peanut butter and chocolate fan, these bars sound INCREDIBLE, and I cannot wait to give them a shot! Nothing like an easy recipe like this one to throw together on a random weekday just because! Just made these & they are chilling in the fridge as I comment! So quick, easy & amazing looking! Has anyone tried to make these with no or reduced sugar? Any luck? I would also far rather use crunchy, natural peanutbutter. Let me know, oh experimental ones…!